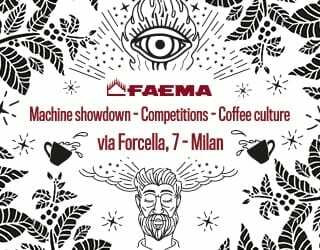 Can Events Show Small Producers The Value of Specialty Coffee? 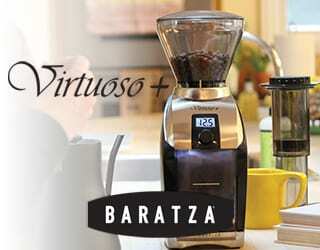 Home Coffee Production & Farming Can Events Show Small Producers The Value of Specialty Coffee? 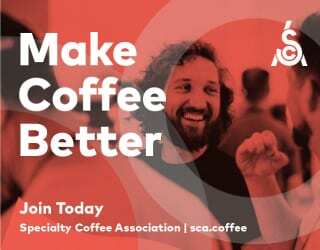 Increasing demand for specialty coffee promises better prices for producers and better quality products for consumers – but for smallholder producers, specialty remains a risk. 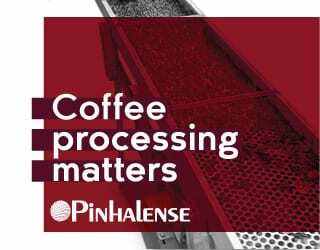 And as we develop greater expectations of our specialty coffee, it can be even harder for them to keep up the latest trends. 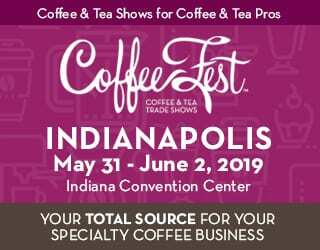 Can events that connect buyers with producers show the value of specialty coffee for everyone along the supply chain? Can they demonstrate the best way to increase quality? And can they facilitate purchases? We spoke to Maricela Aguilar, Operations Manager at Beneficio San Marcos, Honduras to find out the answers to these questions. 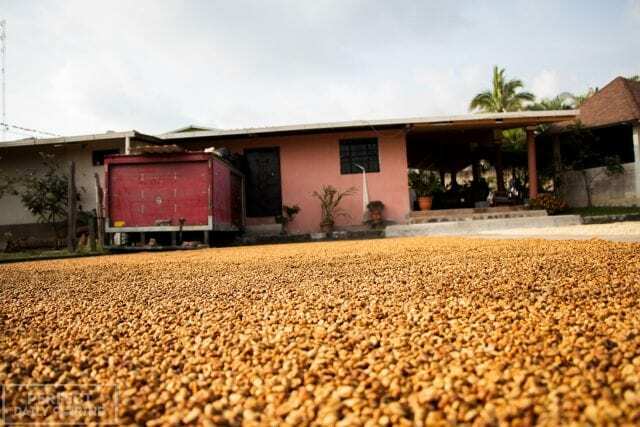 The beneficio, or mill, recently organised a specialty coffee auction in the region with the support of SDE (Soluciones para el Desarrollo Empresarial). Here’s what Maricela had to tell us. Ripe coffee cherries on a farm in San Marcos, Honduras. 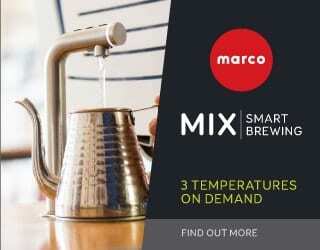 Producing specialty coffee is a difficult task. It requires constant attention to quality, from preparing the land and planting seedlings to picking ripe cherries and carefully processing them. It’s an investment of time, money, and resources. And so, for producers, continuous support and feedback from interested buyers are key. Because why invest so much without a guaranteed return? Maricela tells me that Origen San Marcos started just 3 years ago, but that she feels the auction has already had a great impact on their 150 associates. 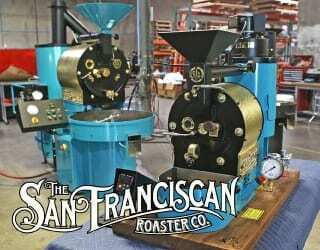 The organisation has brought importers, local exporters, and roasters to the region and to the producers. These buyers have seen the local coffee farmers, they’ve evaluated the coffee quality, and they’ve given feedback. 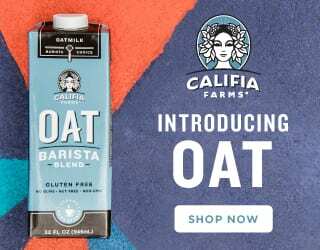 The latest auction was attended by companies including DR Wakefield (UK), Union Hand-Roasted (UK), San Francisco Bay Coffee Company (USA), and Itochu (Japan). 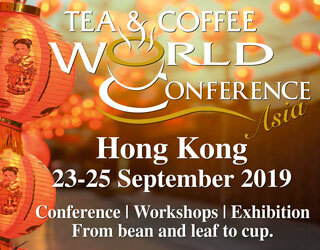 Santiago Barahona, Head Coffee Trader at DR Wakefield, tells me that these kinds of events strengthen connections. For him, tasting coffees from the local region is a valuable opportunity. Buyers cup local coffees at Origen San Marcos. With interested buyers come better prices. 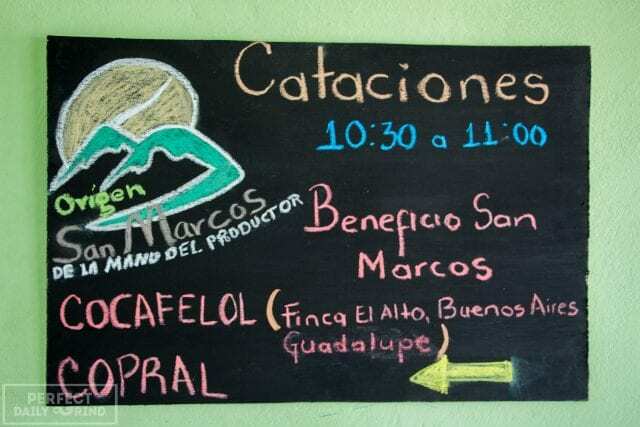 Maricela tells me that Beneficio San Marcos wants to show producers that their coffee is valuable – and that they can access a sustainable market. 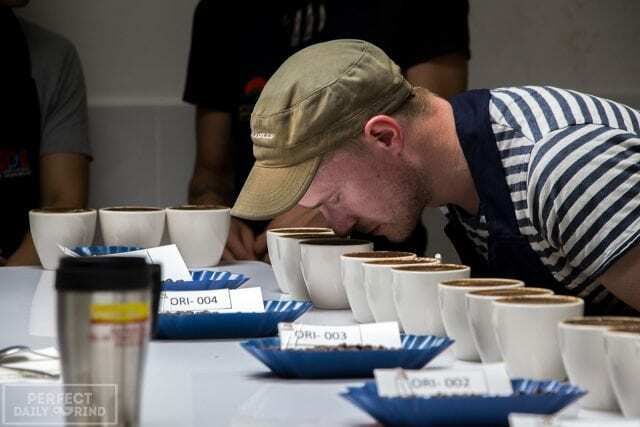 At the last event, 62 coffees were cupped and the top three were auctioned. 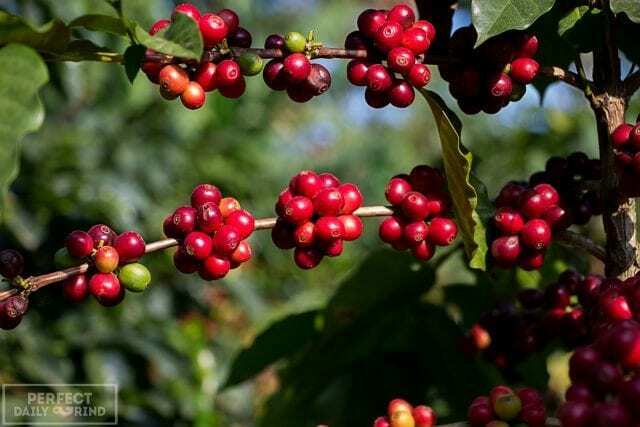 The three producers of these coffees were able to sell their crops at higher price. Ludwin Daniel Aguilar of Finca El Alto sold 80 69-kilo bags for $2.20/lb. Orland Guerra sold a microlot for $2.60/lb. And Luis Beltran Alvarado of Finca Los Limos sold 6 69-kilo bags for $4/lb. 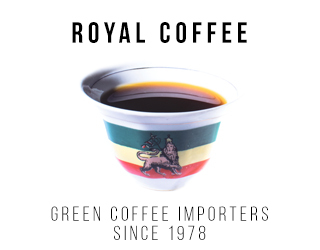 With the international coffee price (“C Price”) at the time hovering around $1.40/lb, this was a significant gain for all three producers. It told them their investment had been worth it – and other producers saw that their investments could be too. Coffee dries at Beneficion San Marcos. Maricela tells me that the region needs events like this to continue. 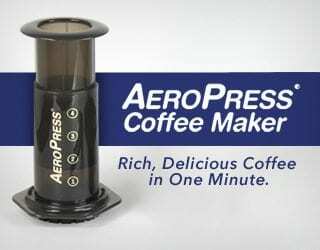 They demonstrate to producers the value of specialty coffee and they promote the region on an international scale. But while events are helpful, producers need more. Maricela says that quality improvement is just as important as promoting the region. The beneficio works closely with producers to provides guidance on improving processing methods and following best production practices. She tells me that there are other local cooperatives and associations that do similar work, such as COCAEROL, Flor del Pino, Marquense, and Amprocal. COCAFELOL, she says, has 400 members and exports their coffee via direct trade. And the relationships built with traders and roasters matter. She wants producers to work with buyers who return harvest after harvest. 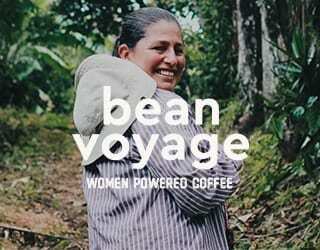 She wants buyers to offer farmers financial sustainability over the long term in exchange for higher-quality coffee. Origen San Marcos aims to promote the region to buyers, and promote specialty to producers. Events like Origen San Marcos are only a small part of how we can make specialty coffee financially sustainable, and even attractive, to smallholder producers. But they are an important tool. 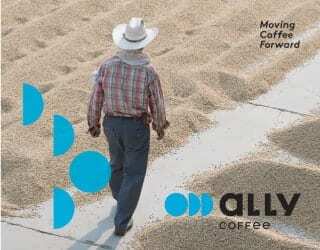 They are an opportunity for producers to promote their coffee and meet buyers. 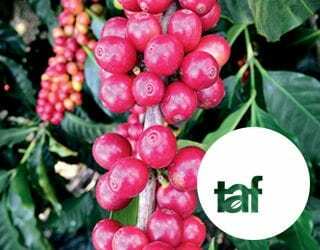 And they are an opportunity for the specialty industry to show producers the value of their coffee – and the benefits of investing in it.